Several updates to the sites pages this morning. Take a look and stay current on what is happening! Most important are the updates to the System Fusion NET Project, 443.100 Repeater and NETDA pages. The repeater is operational in AMS (Automatic Mode Select). Analog users need to use 118.8 tone for analog FM. You will need a Yaesu Fusion radio to utilize the C4FM Digital Voice mode. The Yaesu DR1-X repeater for upgrading the 443.100 repeater has been ordered. I also ordered a FTM400XDR mobile, a FTM100DR mobile and the FT2DR HT to use on the system. 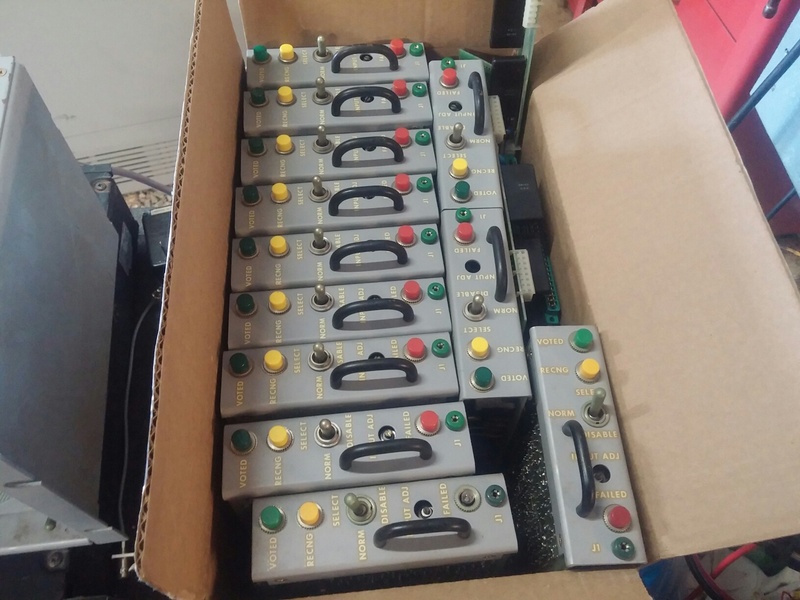 I will have those in hand by 6/4 to start programming and getting them setup. More to come on the upgrade soon. Looks like a busy year in the K4ETN shop and sites. First off, I have been accumulating a lot of equipment for the 444.750 repeater. An antenna upgrade is going to be scheduled in a few weeks. We are replacing the DB-404 with a DB-420 which came from Oklahoma back in March. Then it’s on to actual field testing to see how much coverage improves. Hopefully this year will see 2 dedicated receiver sites on line for the 444.750. One in the Kingsport/Bristol TN area and another on the north side of I-81 in the Morristown area. If I can possibly get to it, adding a receiver to cover the I-26 corridor through Johnson City down to Unicoi County will help through there also. 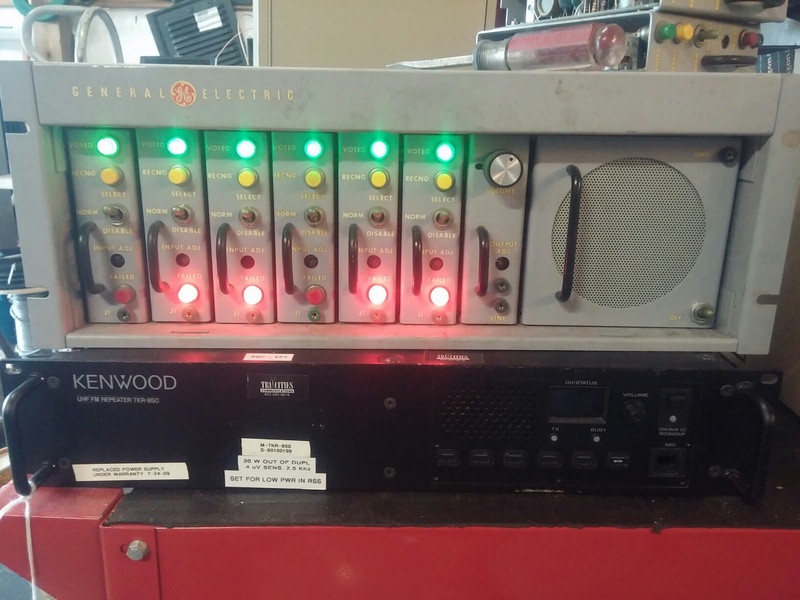 Work has started on reconditioning a General Electric voter rack with six channels. This unit was decommissioned back in 1988 and was donated by W2GBO in upstate NY. Along with a ton of spare cards! My thanks to Dave, big thumbs up! Repeater Antenna’s making a long journey to TN. 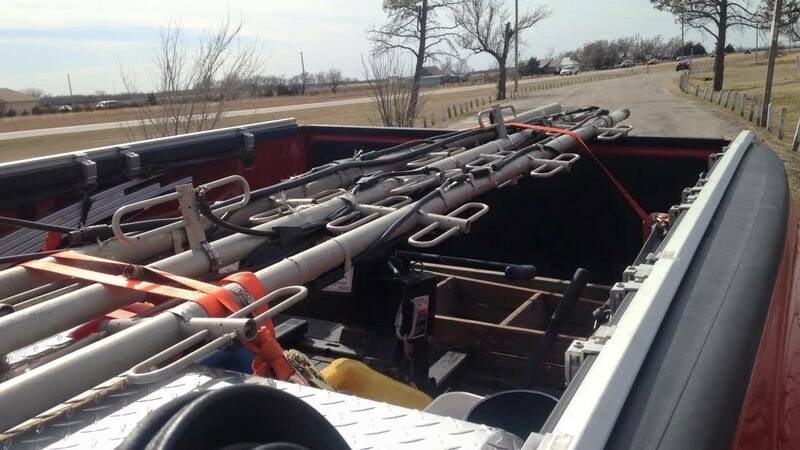 Last month KE4JFL found two Decibel Products commercial UHF antenna’s that we need for upgrades to the system in Oklahoma. The owner was willing to make us a great deal on them, but shipping would break the budget for us. Thanks to Rich’s friend, Pete May from Greeneville, TN, Pete was able to pick up these for us in Oklahoma and is transporting them back to TN. And in the process saved us huge shipping and crating costs. Thanks Pete. Your help is greatly appreciated. This page will share information on the K4ETN Repeater System. Serving Northeast TN and the surrounding Tri Cities area. Check in often, as the page will be undergoing updates as we progress.